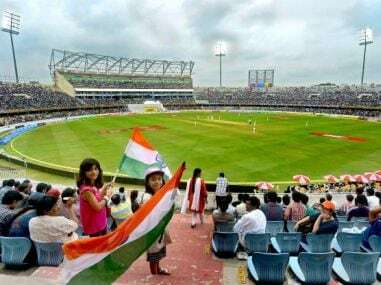 The Hyderabad Cricket Association (HCA) allegedly misused funds allotted to it for hosting the one-off Test between India and Bangladesh in the city last month. 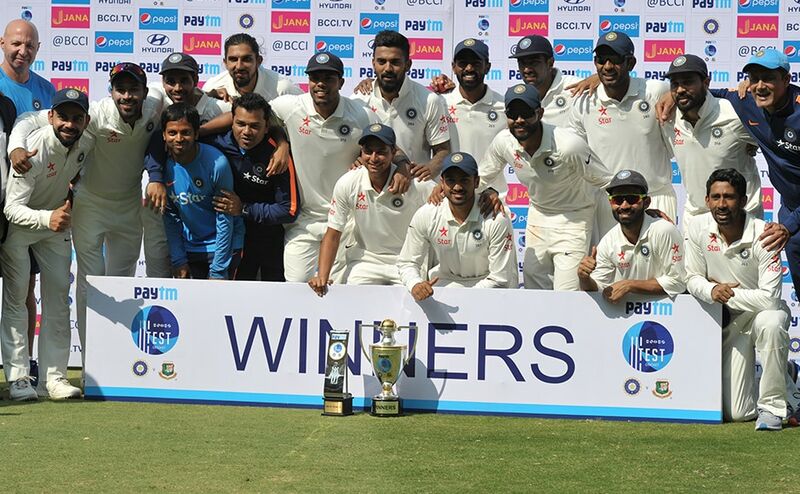 For India, this was another Test where Virat Kohli and Ravichandran Ashwin again broke many records. Here's a look at some interesting numbers from the Test match against Bangladesh. 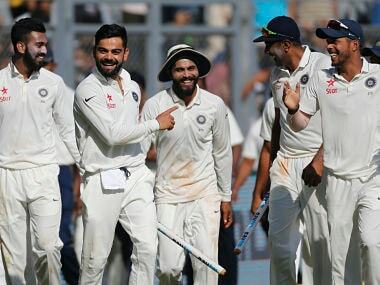 India extended their unbeaten run in Tests to 19 after crushing Bangladesh by 208 runs. Here are the some of the best moments from the one-off Test. Since they got Test status in 2000, Bangladesh have featured in three-match Test series only thrice. 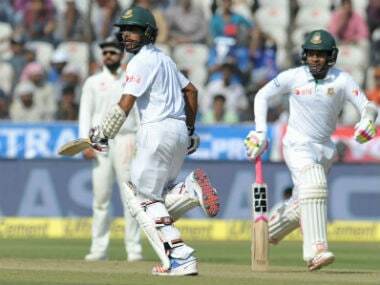 Playing longer Test series is really the need to the hour for the development of Bangladesh as a formidable Test side. 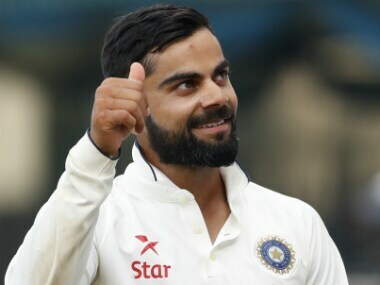 The Indian team under Kohli has identified its core bench - a total of 18-20 players with certain backups - and over the next three-four years, they will do the job in Tests. 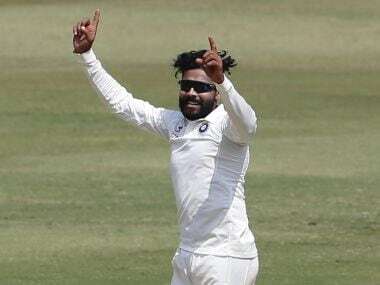 There isn't a whole lot in Ravindra Jadeja's bag of tricks and yet, in the last six Tests he bagged 32 wickets, just two shy of Ravichandran Ashwin, at a much superior average. Being fastest to 250 Test wickets is no mean achievement, so one can’t blame Ravichandran Ashwin for taking Bangladesh captain Mushfiqur Rahim’s autograph on the match ball with which he achieved the world record. 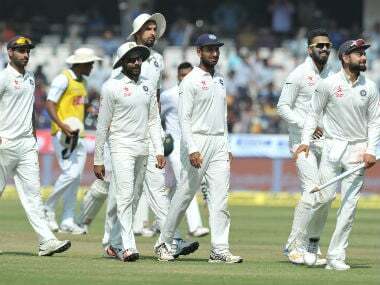 Disappointed at not being able to save the one-off Test against India on a flat wicket here, Bangladesh captain Mushfiqur Rahim on Monday said his team could have done it if it had even one batsman of Indian skipper Virat Kohli's calibre. 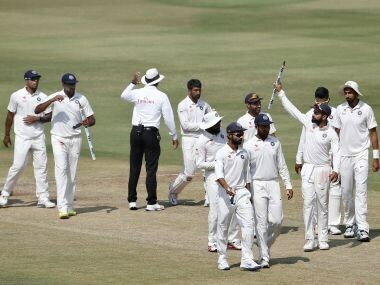 A believer of the old adage that a captain is only as good as his team, Indian skipper Virat Kohli on Monday lauded his bowlers for their lion-hearted effort on a flat track against a spirited Bangladesh side.